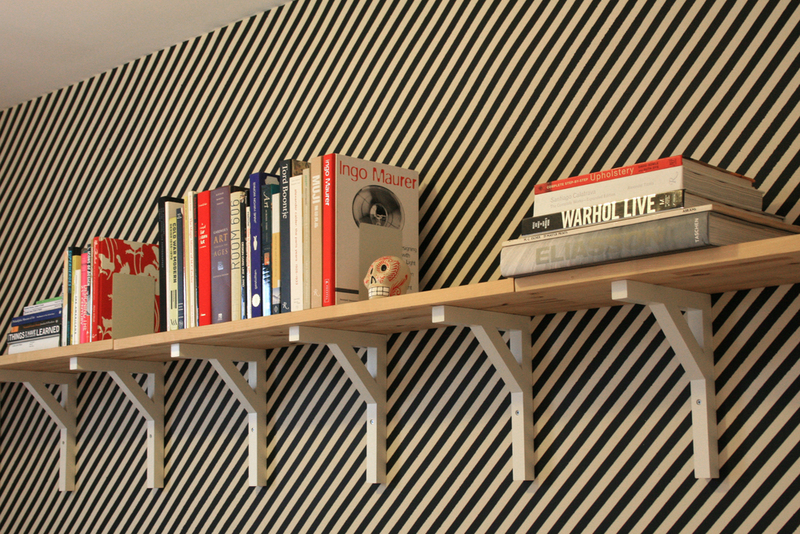 The Stripes wall was a very time-intensive exercise in precise measuring and masking. 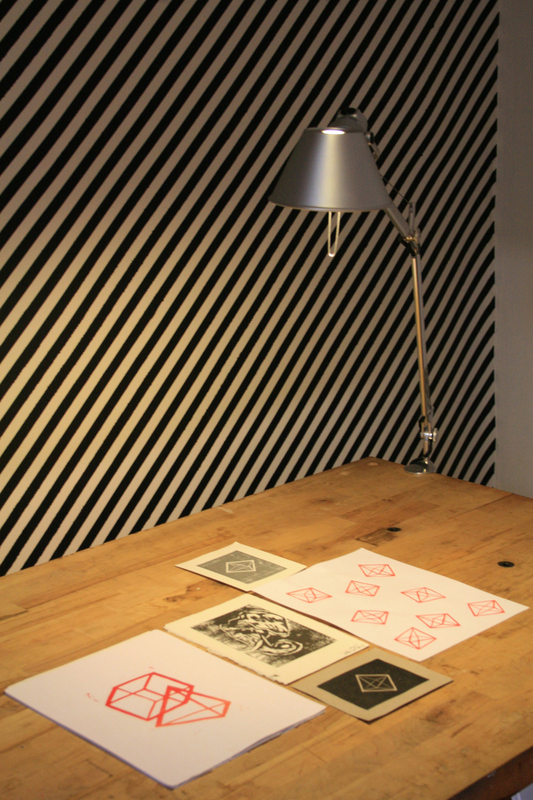 The impetus was to create an interesting visual datum for the space while not restricted to a single simple color. 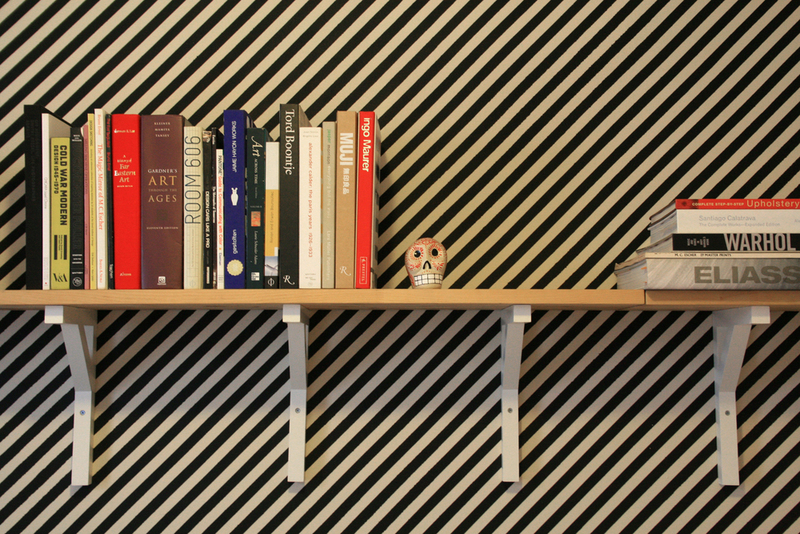 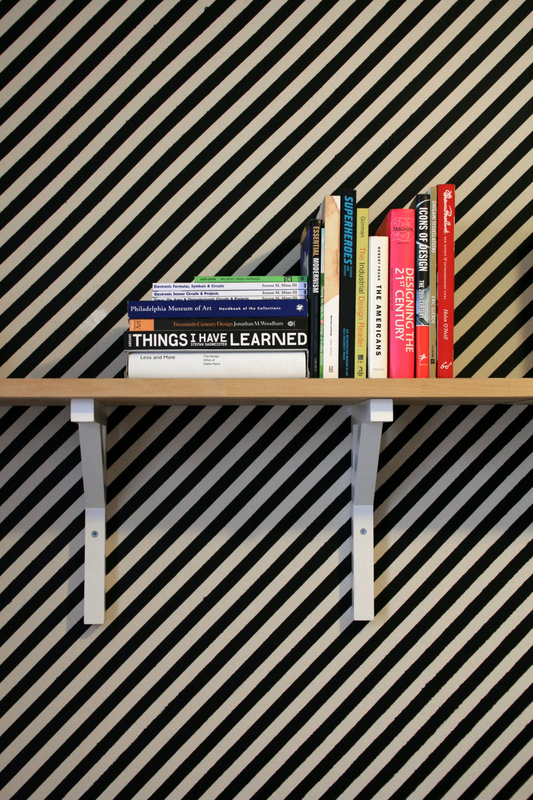 The repetition of the black lines creates interesting patterns and contrasts well with the simple wood furniture.